John FISH Curtis had the most liked content! Now that's nice!!! 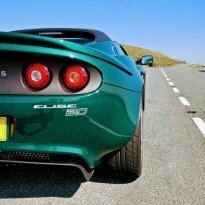 Will it get used more than the 340r, Elise? Been following them on Instagram since they started. Yet to make a trip down but looks very interesting. 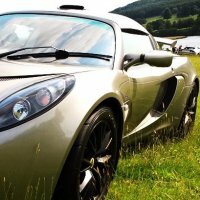 New Elise Owner - What don't I know? Lotus in the Peak - kids? Dean, put me down for Matlock briefing and organising. Event setting up, Meet n great/ marshalling. I don't do Facebook any more, so no use with that side of it. Any one with a K running a silenced decat? I ran a de-cat and the EP silenced de-cat. The de-cat was simply too loud (Hanger 111 back box), EP de-cat was just right. Admittedly, this was a semi standard K series, not a 190. Welcome. Look after it, it's an investment. Service every year according to the service procedure, ideally through a specialist. Id recommend updating the plastic end-capped radiator to an alloy type. Fit a PRRT kit..… (Google search) Alternators can cook/fail. Never swap one without first disconnecting the battery One day, you will get head gasket failure. Learn to drive it before going daft in the twisty stuff..... you will end up in the ditch! The front tow eyes do rust through, change with the radiator. Batteries go flat, very quickly and can cause all sorts of problems. Connect to a battery conditioner when car isn't used. Brake fluid change.... clutch as well? One of the jobs this winter is to change the brake fluid. Do I need to clean through the clutch fluid as well? If so, how best as never done a clutch? 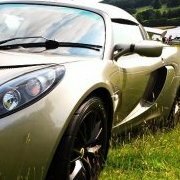 Car is a 2007 Exige S, brakes fluid last changed 28months/4000 miles ago by Lotus Silverstone. No way that fits in that garage and if it did, how do you get out? 1) It will be dangerous 2) A 50/50 deal will loose more value than buying one of those listed above, plus, isn't that a 36month deal? 3) Depends on the dealer and model but I doubt it. TRD is easy to fit. Easier if you remove the rear near side wheel and arch. The bracket for the filter housing usually needs bending out slightly (by hand). TRD will improve induction noise and SC shine. The filter element does get dirtier quicker than a standard element, so keep an eye on it. Cheers Chris, not seen that before. Cant work out why the spray sticks to the letters and not the body work?